Addiction is characterized as a chronic relapsing brain disease, and it’s a disease that has ravaged populations around the world. Men and women of all ages and from all walks of life have fallen prey to the powerful addictive potential of alcohol and drugs. In fact, research has shown that younger and younger populations are experimenting with alcohol and drug abuse, leaving them defenseless against and primed for this incurable disease. For any parent, the prospect of teenage addiction is a nightmare. As much as we may hope that our teens are able to resist the temptation that’s often posed by substance-abusing teens, the reality is that it’s important to be prepared. Even teens and adolescents who show immense promise can find themselves with a substance abuse problem that ruins their academic and career prospects. To help parents be informed and know the signs of teen substance abuse, we’ve put together a list of some of the most common — and telling — paraphernalia, which is a term that refers to the various apparatuses that are used in the administration of mind-altering substances. 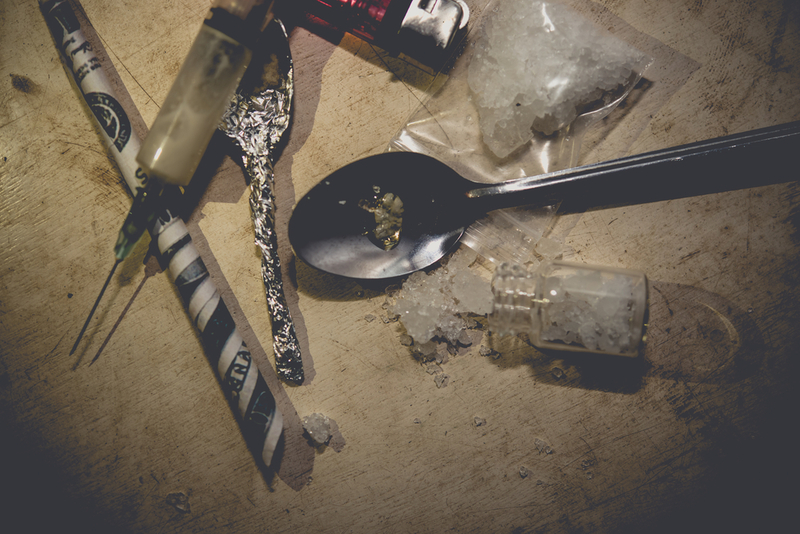 And while there can be valid reasons for certain of these items to be in your teen’s possession, more often than not the presence of one or more of these types of paraphernalia indicates current substance abuse and immense potential for addiction. Unlike many other drugs, marijuana only really has two main routes of administration: smoking and eating. With the latter, there’s often no evidence left as to the drug’s consumption since the substance is eaten in its entirety. However, smoking marijuana is far more common than eating it, and it requires the use of certain paraphernalia. The terms used to describe the smoking apparatuses for marijuana are pipes, bowls, and bongs. Although there are nicknames and slang terms, they’re frequently referred to by these three terms. The primary difference between them is that bongs usually have a reservoir in which liquid water is kept; by comparison, pipes and bowls are simpler and tend to be more portable and compact. When pipes, bowls, and/or bongs are discovered in a teen’s possession, there’s a very strong indication that the teen has been smoking marijuana. Often referred to as “the gateway drug,” marijuana use doesn’t necessarily equate to the use of other (oftentimes more dangerous) street drugs; however, using marijuana does make teens more likely to become curious about other substances. There are numerous mind-altering substances that are insufflated — or inhaled through the nose — as the primary route of administration. Some of the drugs that are commonly insufflated or “snorted” include cocaine, heroin, and certain prescription pills. Of course, it would be quite difficult to deliver a powdered substance into the nose without some sort of apparatus, and that’s where the straws, pens, and rolled-up bills come into the equation. Teens who are snorting drugs often have special paraphernalia that allows them to snort the drugs easily. More often than not, they utilize materials that are easily accessible to them, including straws, the hollowed-out plastic tubing of ink pens, and rolled-up dollar bills. With rolled-up bills specifically, there’s often powdered residue left behind from the snorting that can be used as additional verification of its use. Whereas straws, plastic tubes from pens, and rolled-up dollar bills are commonly used for snorting drugs, glass tubes are a similar type of paraphernalia that’s used for a very different type of drug use. Specifically, these glass tubes — often purchased with miniature silk roses inside them from many convenience stores — are used to smoke crack cocaine or perhaps even methamphetamine (i.e., “crystal meth”). Once the glass tube has been purchased, the user must take a small ball of steel wool — which is easily cut with scissors, leaving a mess of steel wool fragments that are very difficult to clean up — that is stuffed into one end of the glass tube. The drugs can then be placed onto the steel wool and heated with a lighter while the individual inhales smoke the drug emits from the other end of the tube. As such, these tubes often show a milky residue on the inside, which builds-up over several uses. In the case of other paraphernalia we’ve covered, there’s often just one or two drugs for which each apparatus can be used. For example, glass tubes almost exclusively indicate crack cocaine. However, plastic baggies and cellophane — though almost always indicating drug use — can actually relate to numerous different substances, making it somewhat harder to determine which substance is being used when a plastic baggie or cellophane has been discovered. For example, plastic baggies and cellophane are commonly used to transport marijuana. Individuals who sell marijuana will weigh the drug on a scale, then place the drug into a container for transport; and one of the cheapest, most convenient yet effective apparatuses for transporting marijuana is a plastic baggie or the cellophane that’s found on the exterior of a pack of cigarettes. Similarly, certain powdered drugs like cocaine are commonly packaged in miniature plastic baggies. In many cases, the baggies can be smaller than a credit card as cocaine and other powdered drugs often come in extremely small quantities. The best way to determine the drug for which a plastic baggie or cellophane was used is to observe the remnants left on the inside of the baggie or cellophane. If there are green-ish or brown-ish crumbs left inside, it’s likely that the baggie was used to transport marijuana. White-ish powder left inside a baggie or cellophane could indicate cocaine, but it’s possible that white-ish powder could come from heroin or even prescription pills. Arguably, hypodermic syringes or “needles” are the paraphernalia that parents least hope to find in their teens’ possessions. With this type of paraphernalia, there’s very little room for interpretation as it almost always implies heroin use. However, hypodermic syringes can also be used to inject cocaine, crystal meth, and even certain opioid painkillers. Oftentimes, hypodermic syringes are accompanied by charred spoons. Once you have realized that your teen is abusing drugs, time is of the essence. Today’s drugs are stronger than they’ve ever been, so getting your teen help is imperative. Adolescent Growth provides residential treatment for teens and adolescents at 3 locations in California and Illinois, and help them recover from drug addiction before it’s too late. Call us today at 1-888-948-9998 today. NextWhy is My Teen Cutting Themselves?